Some years are bigger than others. On current form, 2018 is shaping up to be one that’ll linger longer in the memory. But it still has some way to go if it’s to beat 1968. Journalist Mark Kurlansky managed to get a weighty, brilliant book out of it, 1968: The Year That Shook The World. The Paris riots, the Prague Spring, the Tet offensive, the assassination of Martin Luther King… the Sixties dream was under attack, the mood febrile. Culturally, it was significant too: Stanley Kubrick’s 2001: A Space Odyssey blew minds, The Beatles’ White Album was released, Led Zeppelin formed. On opposite sides of the world, the car world also felt a notable ripple in the Force. In Turin, the prodigiously talented Giorgetto Giugiaro and his business partner Aldo Mantovani formed Italdesign. In Tokyo, Nissan showed the first GT-R, a potent reimagining of the Skyline saloon that had begun life as a model made by the Prince company (now a footnote, it merged with Nissan in 1966). Italdesign would go on to create the VW Golf, Fiat Panda and Fiat Uno, among countless other far-reaching cars and concepts. The GT-R, meanwhile, would transmogrify across six generations, losing the Skyline name but becoming one of the pillars of a thrilling and occasionally abstract Japanese automotive subculture. Now they meet, and how. 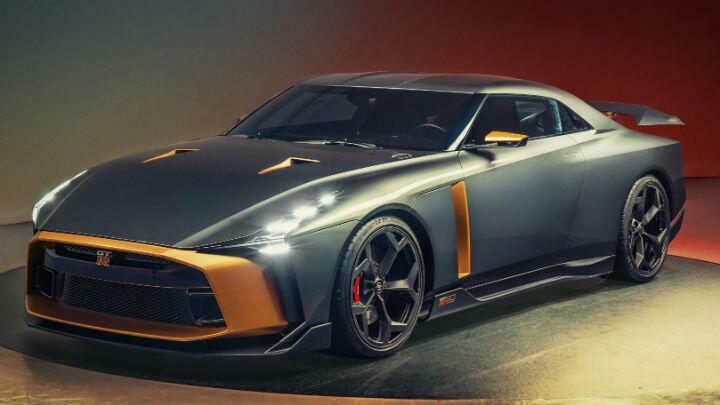 This is the GT-R 50 by Italdesign. Nissan’s senior vice president for global design, Alfonso Albaisa, takes up the story. We like those kinds of meetings. Italdesign is now wholly owned by the Volkswagen Group, Giugiaro having relinquished his remaining 10 per cent in 2015. 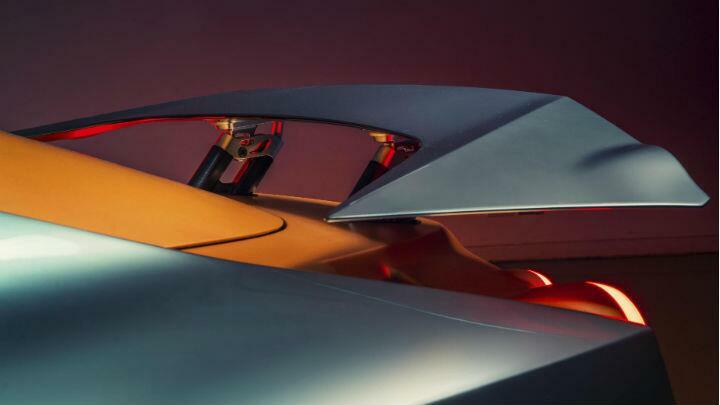 Its head of design is former Lamborghini man Filippo Perini, although it’s important to note that its engineering capability is just as relevant here. 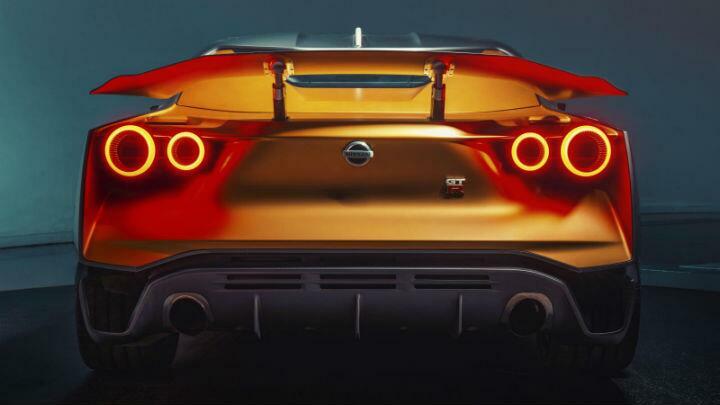 In fact, while Italdesign developed, engineered and built the car, the GT-R 50’s extraordinary visuals are the work of Nissan’s London Paddington and San Diego design outposts. It made its debut at the Goodwood Festival of Speed in July (itself celebrating its 25th anniversary), and was one of the first cars I spotted when I arrived on site. Well, you couldn’t miss it. Gold. Gold is definitely a thing on the GT-R 50. There’s an expanse of it on the car’s nose, executed in such a way that it looks as though it belongs to another car altogether that’s trying to push its way through. 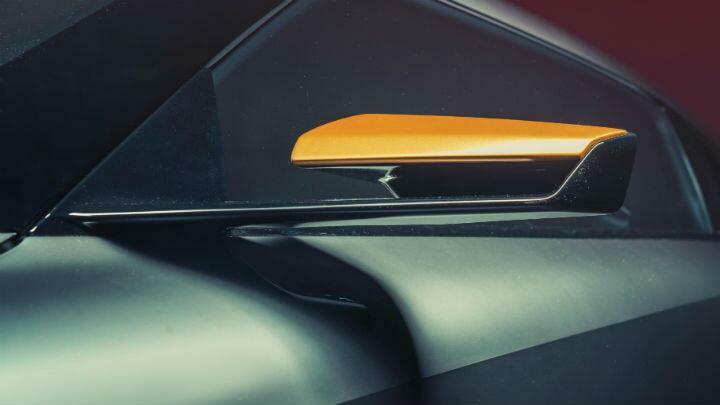 It’s there in the ‘samurai blade’ cooling outlets behind the front wheels, and again in the rear of the car, to such an extent, says Nissan, that it appears as a separate modular element in the structure. 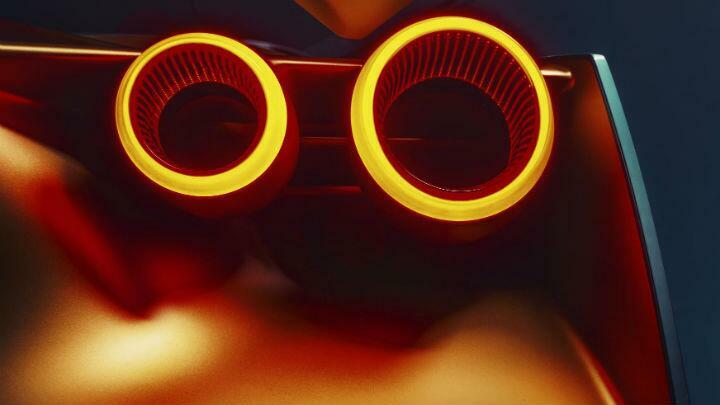 The effect is set off in dramatic fashion by twin rear lights that really do look like they’re floating free. 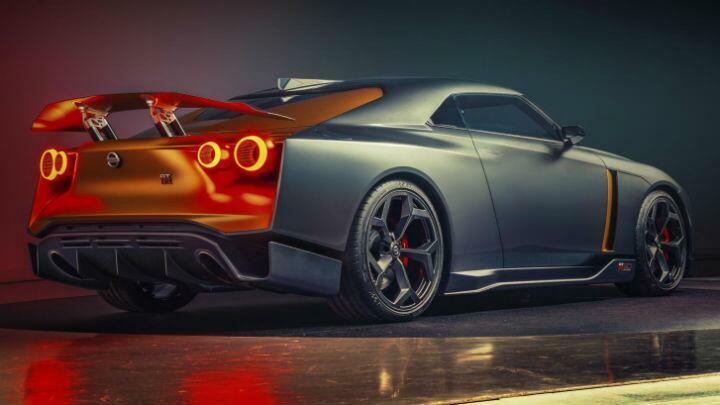 A huge rear wing and diffuser anchor the GT-R 50 in aerodynamic reality, but in every other sense this is a genius mash-up of European sensibilities and Japanese anti-design. Wasn’t that kind of the point of all those Skylines? “Actually my former boss, Nakamura-san, mentioned to me during the development of the current GT-R that if someone complimented him on the car’s beauty, he’d failed. What he meant was that the GT-R’s mystique and its very DNA is that of a beast. 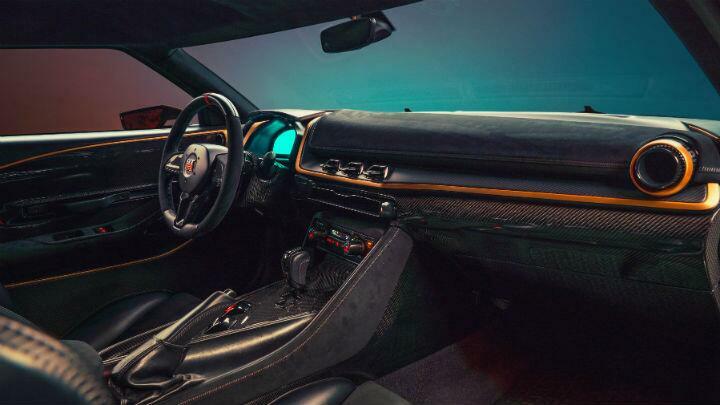 The GT-R 50 is further proof that the world’s HNWs’ hunger for individuality is driving a new era of automotive ‘bespoke’, one that has echoes in the Italian carrozzeria tradition that partly inspired Giugiaro in the first place. It’s still a GT-R, though. This is a full-blown Nismo machine, with a hand-made 3.8-litre V6 making 712bhp and 777Nm, featuring high-flow, large-diameter GT3 comp-spec twin turbos, enlarged intercoolers, heavy-duty crankshaft, pistons, connecting rods, reworked intake and exhaust, beefed-up dual-clutch gearbox and a reinforced differential. The rear suspension uses Bilstein continuously variable dampers, there are huge Brembo brakes, and Michelin Pilot Super Sport rubber wrapped around 21-inch carbon-fibre wheels. 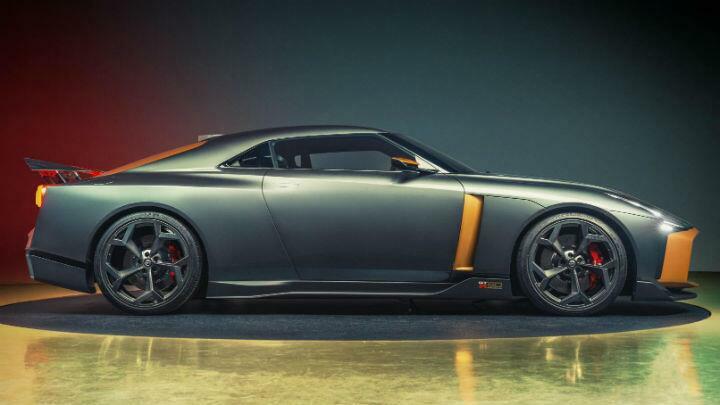 The GT-R 50 may not be ‘pretty’. But it’s pretty magnificent.